Thanksgiving is my favorite holiday, but winter is my least favorite season. To keep myself going, each week I’m going to be giving away several interesting books that have come my way over the past months as well as some books I’ve received over a year ago. It’s brand new and being released next week! I’ve been thinking a lot about creativity and bringing that into my work with students. How does someone take a shape and think of it in new way? This book is about cookies, but I think it’s also about taking an ordinary object like a cookie cutter, twisting and turning it, and imagining other possibilities. Patti Paige is the author and chef behind the cookies and she runs a website called Baked Ideas. Not only does the book contain the author’s exquisitely designed cookies, but she include her seven favorite cookie recipes, which include a whole wheat, vegan, and gluten free recipes. Definitely a fun addition to your cookbook collection. Comment below by midnight 11/7 to enter in my giveaway. I will chose a name on Saturday 11/8. 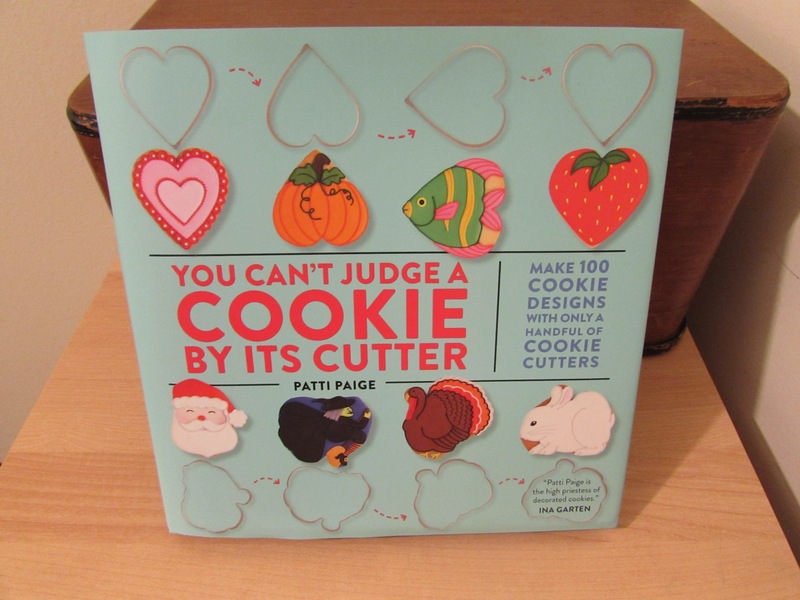 You Can’t Judge a Cookie by Its Cutter is available wherever books are sold on Tuesday November 4th. I received a copy of this book to review (which is the copy I’m giving away). Regardless, opinions expressed in this review are my own. Wow, a new cookie book with Christmas right around the corner! This would be a neat addition to the holiday season. I love cooking and baking – thanks for the chance to win. looks like a fun book to check out! This cookbook would be perfect for my upcoming Cookie decorating party!! I have a cookie cutter wall in my house, and I love re-imagining the shapes. this is adorable! I’d love to win! I just checked out the website and everything there is so cute! The ideas to use shapes differently are really creative. What a fun looking book! Thanks for the opportunity! Creative decorating is so much fun, plus gluten free and vegan recipes, sounds like a great book! I would love to win this awesome book. It looks so creative!